Harry’s Sunday round started with three birdies and a par on the first four holes. He then went bogey, double, par, double. And on the final day of the season, he shot one of only two under-par rounds by a Kansas player (Daniel Sutton shot 71 Friday) in three rounds of golf at punitive Karsten Creek. 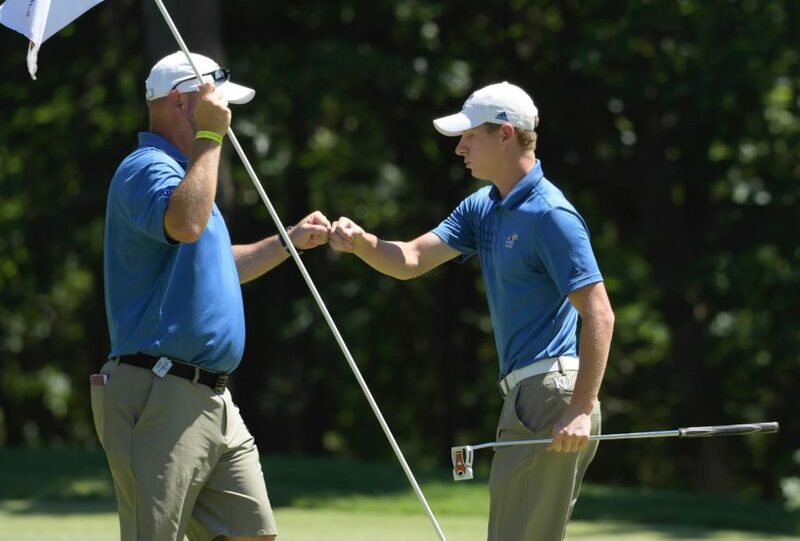 If he continues to improve at that rate and a develops the sort of obsessive work habits that have helped Woodland to earn nearly $19 million in PGA tour events, things could grow pretty exciting for Harry Hillier and the KU men’s golf team.